There are plenty of us who would like to work out but cannot find enough free time for both the workout routine and for the drive to and from the gym. 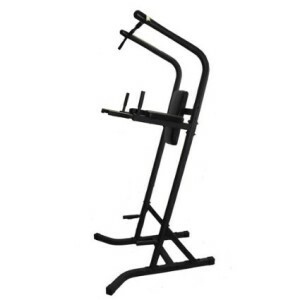 That is why we are always on the lookout for workout machines that you can keep in your home and that will allow you to go through as many muscle groups as possible. Of course, ideally you would have a spare room where you would fit several machines, but the truth is that, when it comes to getting and staying in shape, the human body is the best tool you could hope to have. Your own weight, if used properly, is more than enough to give you the definition and tone that you are looking for. 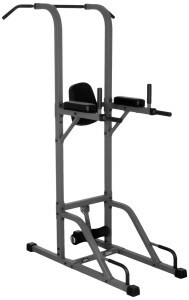 That is why we have worked on a top 10 best power towers of list, because these are the perfect machines to help you shape up using just your own body weight. You can check out the table below for to get a quick idea of the prices and quality level of the machines you can get today, but for a more detailed understanding of what each one can do for you, scroll on to get to our in depth review of each product. 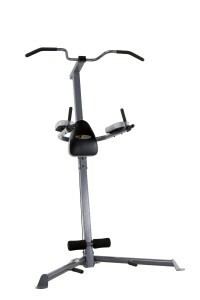 The Stamina 1690 is, by far, our favorite power tower, because it uses such a simple, direct design that will help you work any muscle group you may want to exercise. Its simple design also helps a lot into keeping the price as low as possible, and, when it comes to a power tower, we are really keeping an eye on that. The Stamina 1690 will help you go through any of the big exercises like pull ups, pushups, tricep dips, knee ups and everything in between. 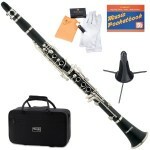 It is one of Amazon’s most beloved power towers with a 4.5 star rating from over 340 users. The design is light and elegant, yet made out of a very strong steel and we can confirm that, no matter how heavy you are, the Stamina 1690 can take the strain of your weight with ease. We have just told you that the Stamina 1690 is our favorite power tower because of its simple design and exceptionally low price. 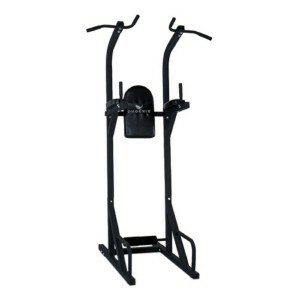 Well, if price was not an issue, then the Bowflex Body Tower would be our favorite product on this list. The truth is that it adds a lot of interesting features to what is essentially the same simple desing as the Stamina 1690. It gives you the possibility to adjust the horizontal bars, it comes with hand grips and sling straps that will really help you get the most out of your workout and do so with a lot less unnecessary strain on your own hands and it too has a 4.4 Amazon star rating. However, the one thing we have to say in conclusion is that if you do have that much money around then, by all means, choose the Bowflex, these features are extremely interesting, but otherwise the Stamina 1690 will do just fine. The XMark XM-4434 is clearly a power tower geared to a male audience and for that reason, although we love it, it is not our favorite. It does come with a very comfortable back rest and all the supports you would need to go through pushups, pull ups, dips and knee raise exercises. 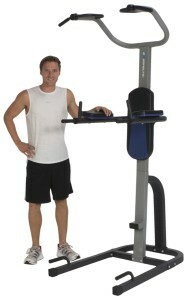 It also does not cost as much as the Bowflex and it is just a little bit more expensive than the Stamina. However, the thing that we love about it the most and that really sets it apart from the competition, is that, as long as you keep it indoors, it has a life time warranty. Granted, nothing can really happen to those other power towers either, but this really shows the faith the team at XMark have in their machines. We are honestly so excited about the built quality of the XMark power towers that we decided to feature a second one on our top 10 best power towers of list. This one, the XMark Fitness is a little bit more focused on getting you in shape than the rest because it comes with a special support for sit ups that will feel more comfortable to a beginner than the support those other products offer. 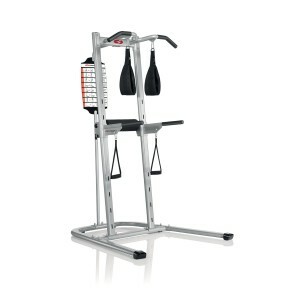 However, a pro will also find this tower more than adequate for each one of his or her exercises. We decided to include the Body Vision power tower here because, although it is clearly not specially marketed towards women, it does have a more feminine design and feel. It will help you go through every type of exercise from push ups to pull ups and abs exercises, and it will also look good even if you only have space for it in a corner of the bedroom. 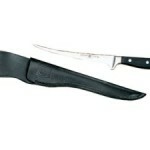 It is also quite impressive that it managed to drum up a 4.2 star rating on Amazon from more than 170 customers. Sometimes the best ideas are also the simplest and the reason why we decided to feature the Amber Sporting Goods power tower here is because it is slightly tilted back. That greatly improves its stability which, in turn means it needs a shorter base and therefore is smaller and easier to fit into a small room. It will still help you go through all the exercises you might need and it is so well designed, that you can actually take it apart in less than 5 minutes after you have finished working out, if you need to store it away between uses. 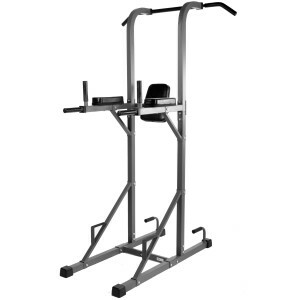 Most people who buy power towers do so because they want to work on their upper body and the towers themselves are built predominantly for those type of exercises. So when we saw that the Sunny Power Tower Dip Station was built for the arms and waist we had to give it a try and we were truly impressed. The arm supports are very soft and supportive and back rest feels very comfortable. We loved how cool the Phoenix power tower looked on pictures so we decided to try it out. 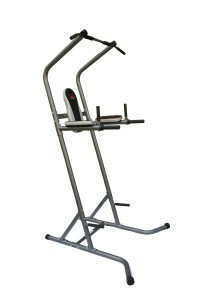 The upper part of the power tower itself is slightly modified and it works great if you want to alternate pull ups with chin ups. It is definitely not our favorite choice because if you are larger or heavier person, like over 170 pounds, you will find that the power tower is a little bit too narrow. 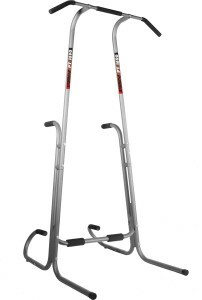 If you are not a very tall person, anything less than 5.5 feet, you will love the Apex Deluxe power tower. 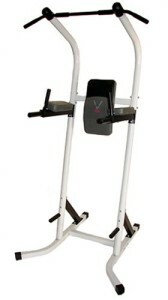 It is the most ergonomic tower on this list, so, as long as you fit the machine itself, this can be an excellent buy. However, most people are a lot taller than 5.5 feet so we had to leave this power tower as one of the last machines on the list. We are going to close with a relatively expensive machine that can help you go through all of the exercises the other power towers we have featured here can. The reason why it is more expensive than most of the other towers is it is somewhat more ergonomic. So although we personally do not think it is worth the extra money there are those of you who might love it.